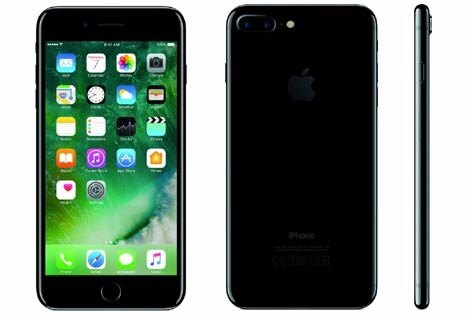 In the Entire History of Apple, company first time launched the phone with Dual Camera and Water Proof body in Apple iPhone 7 Plus which is absolutely beast for Apple fans, nevertheless it has many remarkable Advantages and Disadvantages given in this post. The most notable specs of the mobile are 5.5 inches Full HD display, A10 Fusion 2.23 GHz Quad-core processor, 12 MP Dual Primary | 7 MP Secondary camera, 32/128/256 GB Internal Storage, 3 GB RAM and 2900 mAh battery. In the area of design there is no major modification from the iPhone 6s Plus, The most noticeable addition is Dual rear camera and subtraction of 3.5 mm Audio jack. Phone is made of Aluminum Alloy with compact built and looks stunning in hand. Handset is fully Splash, Water and Dust Resistant (Rated IP67 under IEC standard 60529). The buttons like Volume up/down and Ring/Silent keys on the Left while power button on the right edge, Bottom houses Lightning USB connector and Stereo speaker. In the 5.5 inches bigger size LED-backlit screen unit with a 1080p resolution, it is pleasure to watch HD videos, Any kind of content in phone looks vibrant in colour and balanced in saturation. The brightness is sufficient to operate handset in outdoor sunlight condition. The viewing experience in this handset is definitely better than iPhone 7 because of better resolution and pixel density. Although it doesn't have Corning Gorilla Glass but the display is protected with Ion-strengthened glass. If someone ask us for a best camera handset of 2016; we will instantly recommend the iPhone 7 Plus without second thought, however Galaxy S7 Edge is equally good but in iPhone 7 Plus; Dual rear Camera (telephoto cameras) helps in detecting colours more accurately. f/1.8 aperture allowing more lights to enter so it can take better photographs even in low lightening conditions. Other thing we loved about its camera is 2X optical Zoom, Just like digital camera you can go 2X closer to object without loosing the quality however camera also features 10X digital Zoom. 7 MP front camera having ƒ/2.2 aperture facilitates Wide colour capture for photos and Live Photos, Retina Flash helps in correcting the light in face if found insufficient. The performance is managed by the A10 Fusion Chip with Quad-core 2.23 GHz processor which is one of the most powerful Chipset of 2016, This Beast CPU along with 3 GB RAM perform outstanding and Graphically intensive games can be played without any Frame drop. The company claims this handset is 2X faster in performing and better in managing power. Two cores are clocking at 2.23 GHz reserve for intensive tasks while other 2 cores are clocking at lower frequency are used for general tasking, it saves the battery power. Battery provided in this handset has capacity of 2900 mAh which is offering talktime of 21 hours which is quite decent if we compare it with 14 hours talktime of iPhone 7. Phone takes 3+ hours time to get charge fully, here in this case we are really missing Fast charging feature. A Glamorous look with Metallic (Aluminum alloy) built. iPhone 7 Plus is fully Dust and waterproof. Optical zoom at 2x, digital zoom up to 10x. 5.5 inches true to life Full HD display. Can Record 4K and Slow-mo (240fps) videos. Stereo speakers are distortion free and loud enough. 12 MP Dual Rear Camera for better photography (telephoto cameras). Lightning to 3.5mm Headphone Jack Adapter is included in the box to use the wired Headphone. They have removed 3.5mm audio jack from the handset. 2900 mAh battery inside the phone is Non-Removable. No MicroSD slot to expend the Storage. Jet Black model is quite prone to scratches. Although there are not enough features or innovation offered by company from iPhone 6 Plus but still whatever available in this handset is enough to excite a Smartphone user, Better front and rear camera, more RAM, more battery capacity and Water resistant body. Although many people will be disappointed by decision of removing 3.5 mm headphone jack but you have to note that there is 3.5mm Headphone Jack Adapter in the box provided by company. If you are still searching for alternate you can choose to go for the Samsung Galaxy S7 Edge. Not satisfied with features or price?? Check Best Smartphone for Your Budget.